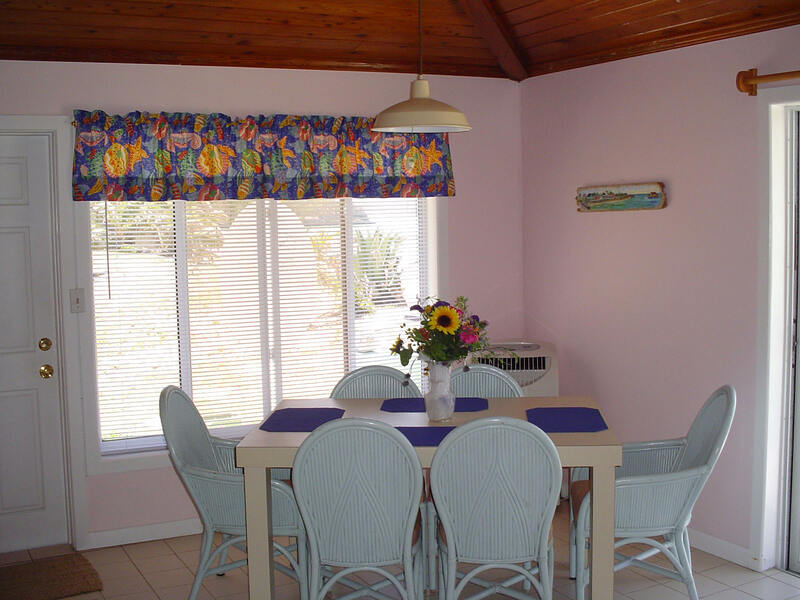 The tropically decorated Mermaid Cottage offers 1 bedroom with queen size bed, spacious bath with oversized shower & hair dryer, living room with queen size sleeper sofa, fully equipped kitchen with glass top stove & dining area. Lots of windows and sliding doors offer beautiful water views from all rooms (including shower). All the rooms have tongue and groove cathedral ceilings and fans. Air conditioned for your comfort. Cable TV and VCR/DVD. CD player. Books & games for your use. This unit can be combined with the Seashell Studio to give you 2 bedrooms and 2 full baths...perfect for the larger family or for 2 couples traveling together. 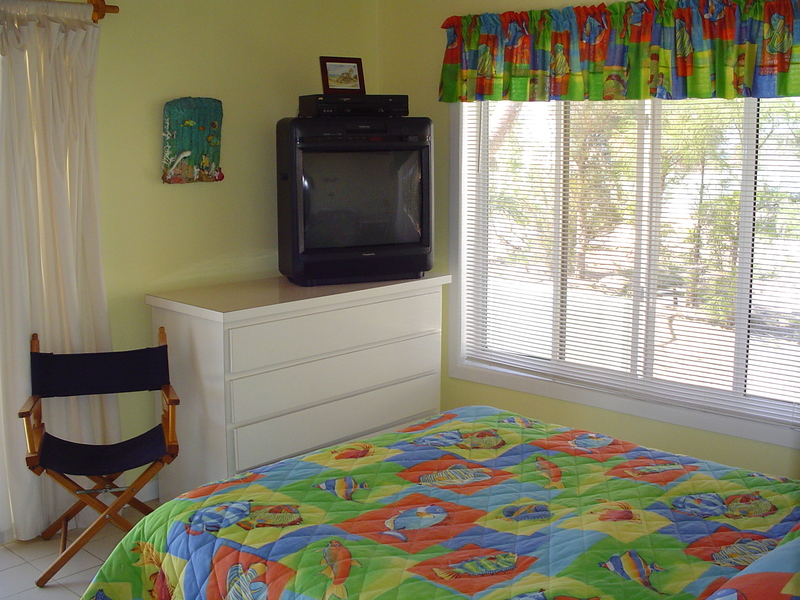 The Seashell Suite has kitchenette with full size refrigerator so also gives each couple their own space.